I spotted this lady who goes by the name of Mireille Lumumba! The room was half pitch black.. i promise… but i could spot style in the dark deep pits of the blue lagoon… LOL! This girl stood out for me! every piece she wore made a Pure statement. Her outfit SCREAMED vintage and her suede wedges were bang on trend.. i couldnt help but compliment her hair which reminded me soooo much of one of the biggest fashionistas ‘Arieta Mujay’… seems like you have a mini me clone Arieta.. *spooky* and I thought the Tan colour of her tailored shorts worked lovely with her skin tone! I HAAAD TO BLOG THIS AND SHOW YOU GUYS! 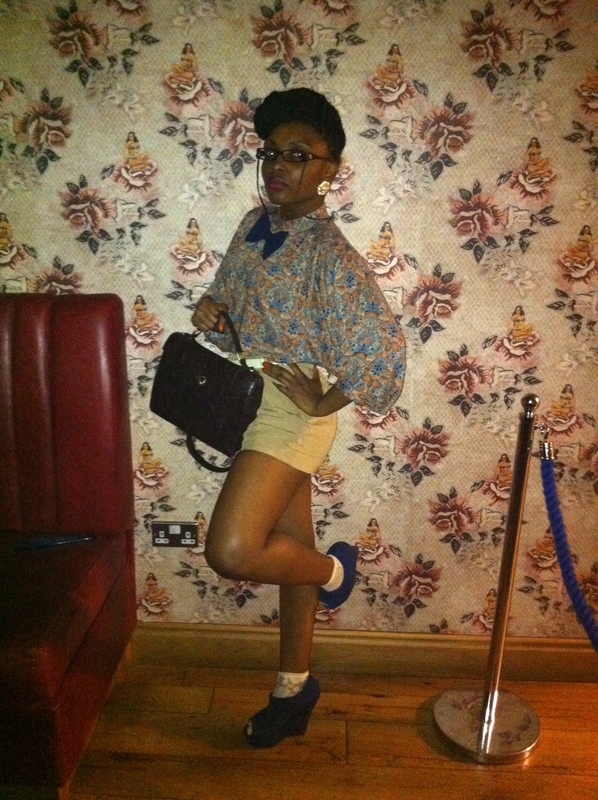 also check her out and other fashionistas i have papp’ed on the ‘you got papp’ed page! Previous Post Straight of the RUNWAY! Next Post We totally agree with Miu!